During the night of 3-4 July, the Jason-2 oceanography satellite reached its final operational orbit at an altitude of 1,336 km. Positioning operations were conducted from the J2CCC control centre in Toulouse, which has now completed the 1st part of its mission. We take a look behind the scenes with the teams monitoring Jason-2’s health. Jason-2 was launched from Vandenberg Air Force Base, California, on 20 June, becoming the latest in a line of oceanography satellites. Once in space, its instruments were switched on one by one and the satellite was manoeuvred into its final orbit at an altitude of 1,336 km. All these operations were conducted from the Jason-2 command and control centre (J2CCC) in Toulouse. Jason-2 has been aloft since 20 June. Credit: NASA. Commands are continuously being sent up to the satellite, even when everything is OK, to perform onboard operations like powering up equipment or modifying orbital parameters. The control centre also calculates and uplinks data required to take the satellite to its final operational orbit. Once the satellite is on station, it has to be kept there at the right altitude. The J2CCC in Toulouse is keeping watch over Jason-2. Credit: CNES. 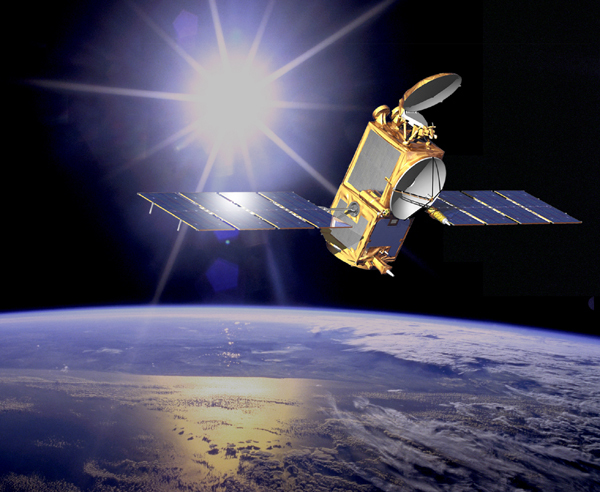 During the night of 3-4 July, Jason-2 reached its final orbit at an altitude of 1,336 km, just 54 seconds behind Jason-1, its predecessor in service since 2001. This was the 5th and last key manoeuvre to position the satellite. Each manoeuvre involved firing the satellite’s thrusters to change its altitude and boost it gradually into the right orbit. Jason-2 (left) is flying in tandem with Jason-1 to calibrate its instruments. Credit: CNES. In-orbit commissioning of the satellite is expected to take about 4 months. Once Jason-2 has completed performance checks, Toulouse will hand over to the NOAA* main mission control centre in Washington. *National Oceanic and Atmospheric Administration. NOAA is also responsible for distributing Jason-2 altimetry products in the United States.